Roopkund lake is surrounded with mystery and legend. However what fascinates more is the sheer variety of landscapes we trekked in. This is truly an all rounder trek, from forests, meadows to trekking on snow and ice. Other than the Roopkund lake itself we saw the Bedini kund and numerous temples on the way. 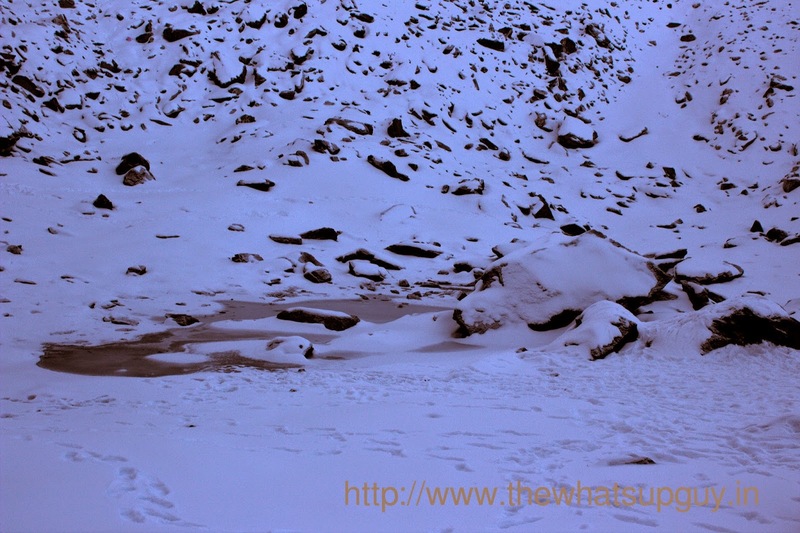 The Roopkund Trek requires 6 Days of Trekking and 2 Days of Travelling in a car. Funnily enough I felt more tired of the car travel than any day of the trek. The mystery surrounding the skeletons in the Roopkund lake have given birth to many stories and legends. However modern DNA analysis has revealed a lot of interesting facts. National Geographic made a rather spooky documentary on the place. After seeing the video I have realized that there is a lot of difference between what is shown in TV and what is the reality. There is nothing spooky or scary about Roopkund at all. Certainly it is a risky place to go compared to your neighborhood grocery shop, but not the way it is shown in the video. Other than that the video is quite informative. The Roopkund trail is 28 kms from Lohajung to Roopkund lake. The trail is not difficult, but there are places where it is quite a challenge. The trek from Didina to Ali Bugyal is extremely steep, quite unlike the rest of the trail. The summit trek from Bhagwabasa to Roopkund is slippery at places due to ice. However having micro spikes makes it so easy that we never really realized how slippery it was. Being on a Himalayan trek you learn one important thing. The mountains are unpredictable and yet the locals can predict them. Our guide Bisht Ji could easily tell it will rain or it will be clear, hours before it happened. We were very lucky to have had very good weather on the summit day. In fact most of the days we had pretty good weather during the trek. 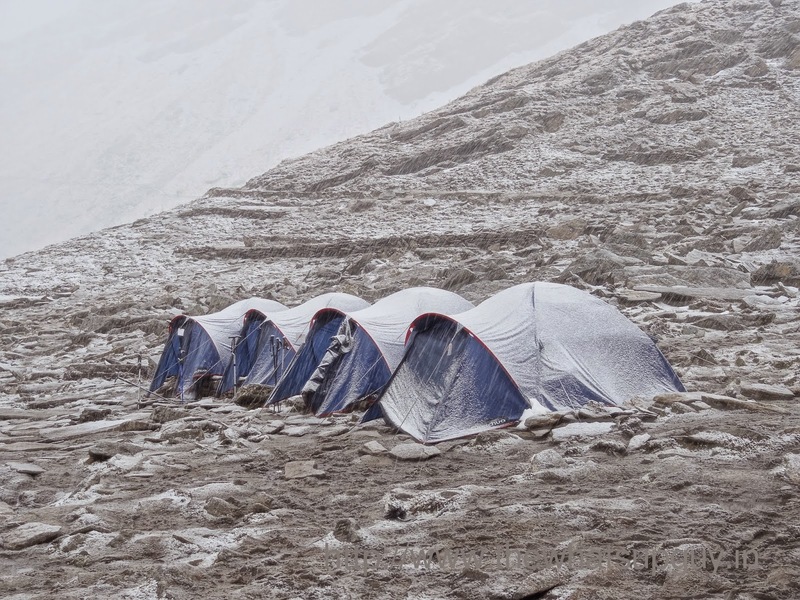 Thanks to the Indiahikes policy of reaching early, we saw hails and snow fall from inside our tents than while trekking. And interesting fact that I learnt later is that there are two seasons to visit Roopkund May-June and Sept-Oct. The May-Jun season is when the lake is not frozen and you can actually see the skeletons inside. However Sep-Oct, the time we went provides the opportunity to see and trek on snow. So I guess I'll have to visit Roopkund again. I had this misconception that people in the mountains would be eating a lot of meat. After all what else will you eat there. I am sure I am not the only one who thought so. I had to spend an entire week eating only vegetarian food. No doubt the guys at Indiahikes provided amazing vegetarian food at their camps, but food certainly isn't one of the attractions of this trek. More so because of the lack of appetite. It might differ with people. But I never had more than one serving of anything. Which as it turns out is good enough. In fact more than food I was looking forward to a hot cup of tea. A steaming hot tea in the freezing weather is probably the best way to have it. I have never drank so much water in my entire life on any given day. Throughout the trek we had been asked to drink water, loads of it. So we did but then it wasn't really easy to go to the loo when you are freezing. More than food what kept us running was water. And the water tastes so good in the Himalayas. Filling our bottles with pure and fresh Himalayan water from a stream for free. We would have paid a fortune if we had drank that much bottled Mineral water ( The so called Himalayan water). Though I personally did not feel any issues whatsoever throughout the trek. AMS is a serious danger to any high altitude trek. It was quite reassuring to see your oxygen levels at the start and end of the day. I was on the AMS prevention medicine Diamox throughout the trek except on the last day. I wanted to know how much of a difference it made. Certainly its better to be safe and be on Diamox on your first high alititude trek. But since things were all good for me I am going to try my next high altitude trek without Diamox. Living in a tent is not easy. Each tent was for three people, while that made it quite warm and comfortable in terms of temperature, it was quite the opposite in terms of space. The first day was the worst but we got used to it quite easily. It certainly made me realize how amazing a real bed is. This is one thing that is probably the Batman of Himalayan Treks. Before and at the beginning of the trek you will certainly feel that its a nuisance but it is so helpful that those who didn't get one had to actually search for long sticks in the forest to use them as a Trekking Pole. If you are going for a Himalayan Trek or any long trek trek for that matter, you deserve a trekking pole. This is something I was well equipped with. Batteries do not work well at cold temperatures. And there is no electricity in the camps to charge them. So carry extra ones to ensure you don't end up reaching Roopkund with no way to capture your success. This was one of the biggest problems in the trek and deserves a separate post. 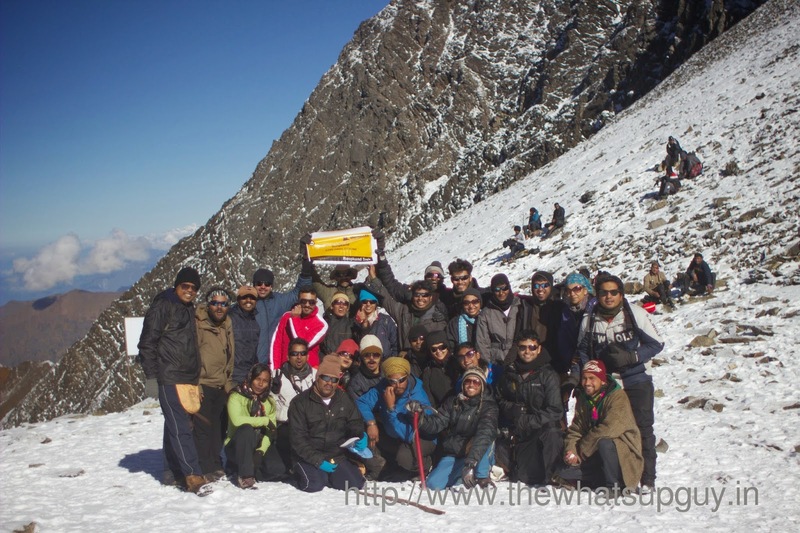 Nature Calls on Roopkund Trek. We spent 6 days in the Himalayas. 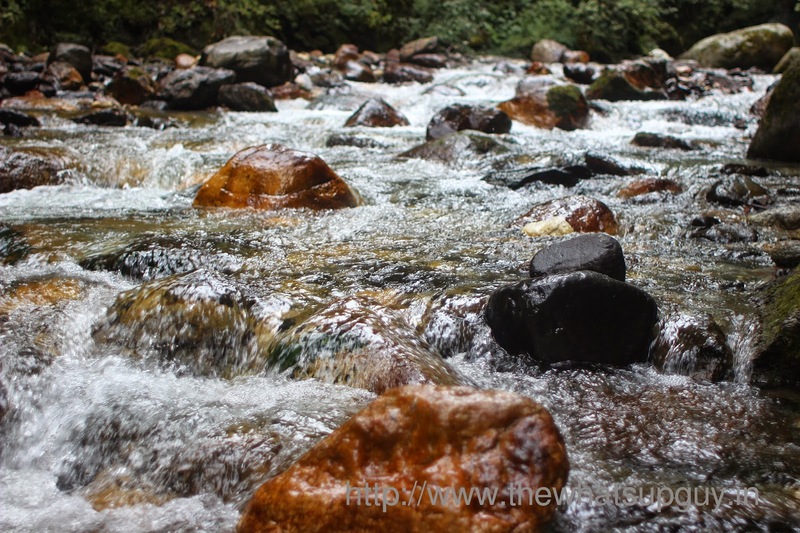 I found a neat trick that trekkers have been following to take bath in the freezing temperatures there. Its so simple that the ingenuity of it surprised me. Basically it involved not taking bath. Yes we didn't take bath for a week. Yes we did stink. So its a good idea to carry deodorants. There will be none. This entire trek is inside a National Park and lighting fire is not allowed. This was a huge disappointment for me but there is no way out of it. Last but not the least our amazing batch of 27. I wonder if its just a coincidence that our trek started on 27th. 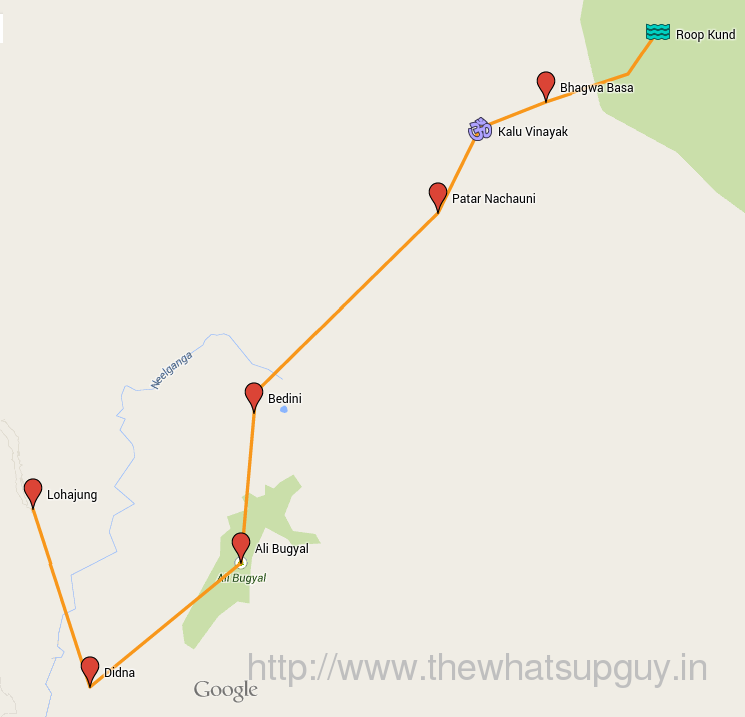 The best thing about our batch was that everyone completed the trek, with no major health issues. This is amazing as it wasn't an easy trek. There were people from all around the country. We certainly got to know who can sing well and who cannot in our long singing sessions in the tents. The best thing about trekking is that its hard to find people you won't like in a trekking group. Guys if you are reading this - You are awesome.